Make Your Next Event Memorable – Inspire, Motivate And Engage Attendees, Hire An Olympic Speaker. Olympic athletes understand the value of setting goals and working hard to meet them. In their quest to reach the top of their sport, these athletes combine strength and dedication in order to earn the opportunity to represent their country at the highest level. As role models, Olympic athletes are the picture of good health, intense focus and a lot of determination – three things that can help us all excel at the goals we set for ourselves. Our Olympic keynote speakers are passionate about motivating others to strive for excellence. We have cultivated an impressive list of top Olympic Speakers, including multiple medal recipients, who are available to speak at your next event and leave a lasting impression on your guests. Engaging content is par for the course when it comes to an Olympic speaker. With incredible experiences that many people dream about, Olympians are uniquely positioned to share engaging real-life stories with a very wide appeal. Our top Olympic speakers have made it to the highest competitive levels of their sport(s). Many of our keynote speakers have not only made it to the Olympics, but have reached the top by winning olympic gold. An athlete’s perspective on aiming high can be very empowering. In the workplace, an attitude towards excellence is like a cornerstone in the foundation of success. An Olympic speaker can elevate your team to shoot for the top and perform at their best. Olympic medalists use success models that work very well for them. 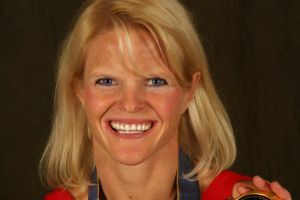 Many of our Olympic keynote speakers have found other successes outside of their athletic careers, transferring their experience from sports to other important endeavors in their lives. Sharing the proverbial “secrets” to their success, Olympic speakers engage your guests with exciting approaches to achieving their goals. Tips from our speakers, who have achieved incredible athletic heights, will inspire your attendees to develop strategies of their own. A team must work together regardless of the stakes, be it a gold medal or seamlessly rolling out a new initiative, it takes teamwork to get there. From the boardroom to the Olympic village, the importance of working together is paramount. Our keynote Olympic speakers know a little something about working together to accomplish great things. Regardless of the size of the group the message remains the same, communication, mutual respect and encouragement will always lead a team to the finish line.